Hey guys I’m back! It’s time for another #WednesdaywithNate ! I curled my hair for the first time using the Remington Ceramic Ionic Compact Setter.They come in a pack of 10 and cost about $15 dollars at my local Walmart. When I first purchased these hot rollers I was a bit skeptical because the packaging was so small. 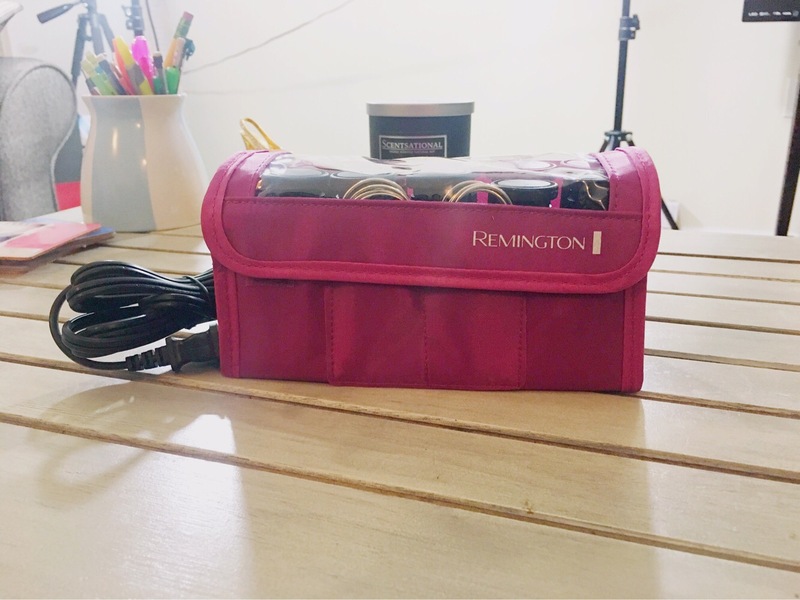 I wasn’t sure that the rollers would be able to curl all of my hair at one time, but I have used other Remington products before and gotten great results so I figured it was worth a try. See pictures below. I also did a get ready with me video on my YouTube channel using the rollers! Enjoy! P.S. Did you have a chance to see this past Monday’s motivation post? I also have other YouTube videos up so make sure you go check them out! I never want you to miss a post so it’d make me a really happy lady if you subscribe to my blog! ANNNNDDDD as always thank you so much for your visit!! !